Small children are usually oblivious to danger. Their naturally curious and naive nature often leaves them susceptible to dangerous situations that can cause serious injury or worse. Even with the most vigilant of parents, it is very easy for a toddler or small child to escape from a parent’s line of sight and protective care at home or out in public. With the hot summer weather that typically attracts Ontario residents to outside recreational facilities, many families partake in activities that provide some sort of cooling factor, such as our public pools, Ontario lakes and beaches, and splash pads at parks. In a splash park in Georgetown Halton Hills in late July 2015, a one year old boy suffered severe (second degree) burns on the bottom of his feet after stepping on ground level metal doors that were located near a splash pad on the property. His right hand was injured as well with a less severe burn and he was admitted into the Toronto Hospital for Sick Children where he underwent two surgeries. The young boy has since been sent to his Brampton home where he is recovering slowly, according to his understandably distraught parents. The metal doors in question have clear signage warning people of the danger of stepping on them. Since the accident, the property owners have blocked access to the metal doors with metal gates and the incident is being investigated by the Municipality of Halton Hills. The current legislation surrounding the rules for the proper safety measures when in the vicinity of ground level metal doors is also being revised in order to prevent another such incident from occurring. It is the responsibility of property owners to ensure that the necessary steps are taken to keep all patrons and the general public safe from any hazard that is on their property. Although the unfortunate incident at this splash park is the first of its kind in the 15 years since opening, it remains to be seen whether it could or should have been prevented. At the Injury Lawyers of Ontario (ILO), we have experience in successfully representing clients who have been injured in almost any capacity, including those who have suffered from burn injuries. Accidents are unpredictable and most times, unexpected. Although taken by surprise by accident trauma, you can be proactive about seeking the best advice possible when you contact a Georgetown Ontario personal injury lawyer from the ILO law group. The injuries, pain and suffering that can extend from car accidents, burn injuries, brain injuries and other such accidents can have a lasting and negative impact on a person’s life. This can easily extend to the family members of the victim and all injured persons should be aware of their right to compensation and proper care during their recovery. Certainly, our young children are the most vulnerable segment of our society. Children die in car crashes more than any other accident resulting in injury. As parents and caregivers, particular care and vigilance is needed when travelling with children, during recreational activities and even in regular daily functions. Children have their whole lives ahead of them and when they are seriously injured, we cannot help but be devastated and concerned that they receive the best possible care in the hope of returning to their normal level of functioning and comfort. 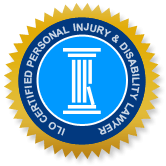 At ILO, your local Georgetown personal injury lawyers are here to assess your case or that of your loved one, with a free initial consultation. Our goal is to achieve the best possible compensation for injuries, so that you can avail yourself of the best care and treatment that will maximize your recovery. Contact us via telephone or visit us online. All of our firms housed under the ILO umbrella offer experienced and empathetic personal injury lawyers who are accommodating to your needs.